Ashley is a Partner and oversees Wellspring’s Boston office. She brings experience in strategic planning, impact assessment, communications and systems thinking. Previously, Ashley worked as a Portfolio Manager for Strategic Grant Partners, a foundation and pro-bono consulting firm. Prior to that, Ashley worked as a Senior Researcher for the Barr Foundation, managed the Heart of the City project at Harvard’s Kennedy School of Government, and facilitated land-based microenterprise schemes with agro-pastoralists in rural Kenya. Ashley is a founding Board Member of My Sister’s Keeper, an organization that supports Sudanese women through education and advocacy. Ashley received her MESc at Yale University’s School of Forestry and Environmental Studies. 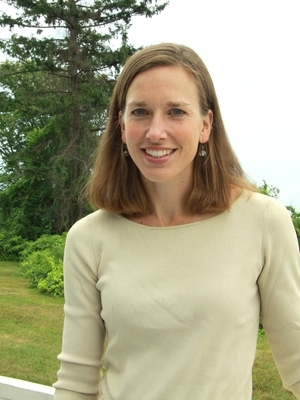 She graduated with a BA in English and Environmental Studies from Dartmouth College, where she won the Faculty Award for Excellence in Environmental Studies. Dartmouth College, BA English and Environment Studies, Faculty Award for excellence in E.S.